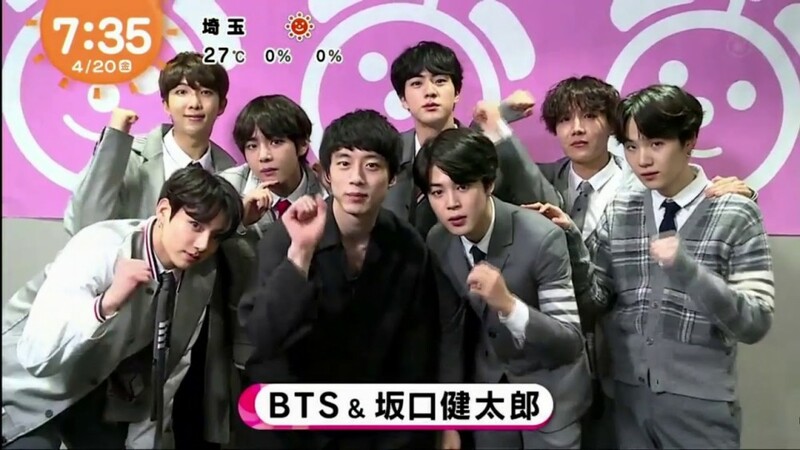 Japanese actor Kentaro Sakaguchi has expressed his desire to work with BTS. On the July 9 broadcast of MBC's 'Section TV Entertainment', Kentaro Sakaguchi revealed in an interview about his desire to turn his newfound friendship into a working relationship with the 7 member group. He spoke in the interview of how he thinks BTS is a great team, especially after meeting them face-to-face at a fan meeting in Japan. He said, "I think they are a great team. Now that I have developed a friendship with the boys, I want to be able to work with them in the future." Sakaguchi also saw one of BTS's live performances in Japan, to which he commented, "It was a really impactful performance. Their dancing and singing were amazing." BTS had previously made the theme song, 'Don't Leave Me' for the Japanese TV series, 'Signal', in which Sakaguchi had starred as the protagonist. Do you think another collaboration is in the works?